The saga of the long-awaited merger between the Australian gambling operators Tabcorp Holdings and Tatts Group is coming to an end, and a new era is set to begin in the local gambling industry. At the time when Tabcorp published a media release, revealing that the Australian Competition and Consumer Commission (ACCC) is to no longer seek another judicial review of the Australian Competition Tribunal (ACT), the company also announced that its merger deal with Tatts Group is expected to take place on December 22nd, 2017. 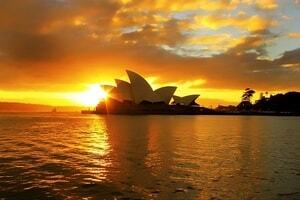 The deal between the two Australian gambling giants is to finally combine the companies in a gambling behemoth that has been feared to be able to inevitably change the local gambling and betting industry. In fact, these concerns have been some of the major reasons why the merger of the two companies has faced such a strong opposition, as some authorities, regulators and rival companies have feared that if finalised, such a deal would hurt competition in the region, causing harm to competitive companies. As mentioned above, the merger is set to be finalised tomorrow, with the two companies joining forces to become one entity. UBET, however, is planned to remain as a standalone brand for up to a year while the process of integration between the gambling giants is carried out. 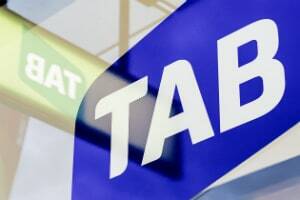 David Attenborough, the managing director of Tabcorp, revealed that UBET would continue operating in the market for some time “in parallel to TAB”, while the two companies are going through the integration process. Except for the fact that the two companies are to become one, their customers are not expected to be affected by any other material changes, or at least for some time now. Probably the most serious change that is to be seen by local players would be the aligning of the fixed price books of the UBET and Tabcorp brands, but Mr. Attenborough explained that this is to happen after several months. Apart from the fact that Mr. Attenborough once again confirmed Tabcorp’s commitment to see a national tote pool implemented, he also explained that the full integration of the two companies’ operations is to take approximately two years to be completed. In addition, the Tabcorp’s managing director said that the cash flow that is expected to be brought to the new entity as a result of the merger, amounts to no less than AU$130 million, with racing revenue representing a significant part of the amount. He further shared his expectations for Queensland racing to generate approximately AU$20 million more as a result of the integration process’ completion. According to him, the benefits of the merger are to be felt almost immediately, especially considering the revenue increases under the business model of Tabcorp, as well as the roll-out of Trackside, a Virtual Racing product. The post Tabcorp-Tatts Merger to Bring Aroud AU$130 Million to the New Entity appeared first on Casino News Daily.